Seed uses a recent stable version of Serverless Framework. We wait until most common issues have been ironed out in a release to upgrade to it. This means that if your app relies on a newer version of Serverless Framework, you need to set it in your serverless.yml. You can see the version of Serverless Framework that was used for a build in the build log page. You can see this in the build logs as well. 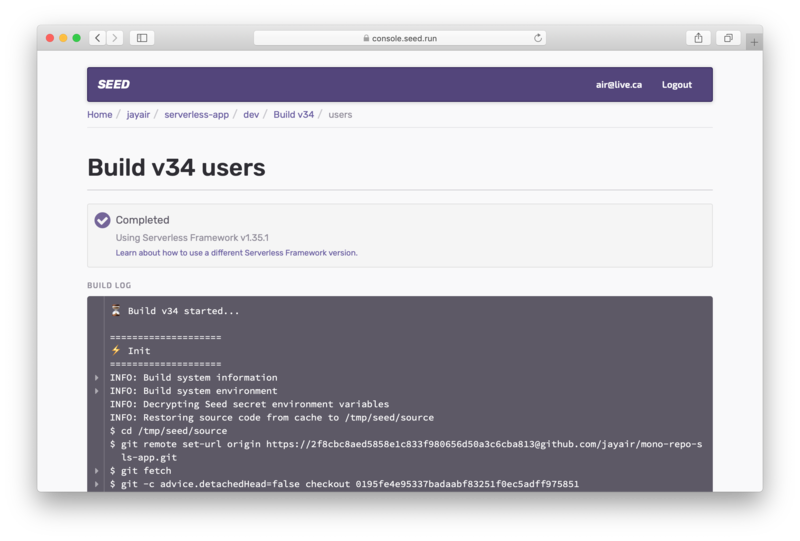 To tell Seed which version to use (for example 1.40.0), you can set the following in your serverless.yml. Alternatively, you can set a range. Where the Serverless Framework version to be used should be in between (and including) 1.0.0 or anything less than 2.0.0. You can read more about version pinning in the Serverless Framework docs.